Willow Dawson grew up in Vancouver, BC. She spent a year in London, ON before making Toronto her permanent home. She is the author and/or illustrator of several books, most recently White as Milk, Red as Blood (Knopf) by Franz Xaver von Schönwerth, with translations by Shelley Tanaka and a foreword by Philip Pullman. Her highly acclaimed picture book The Wolf-Birds (Owlkids Books) is in its third printing, with a Chinese edition on the way. Her illustrations have been published in Canada, The US, the UK, Italy, China and soon Germany. She has exhibited with Library and Archives Canada and currently with Museum London. 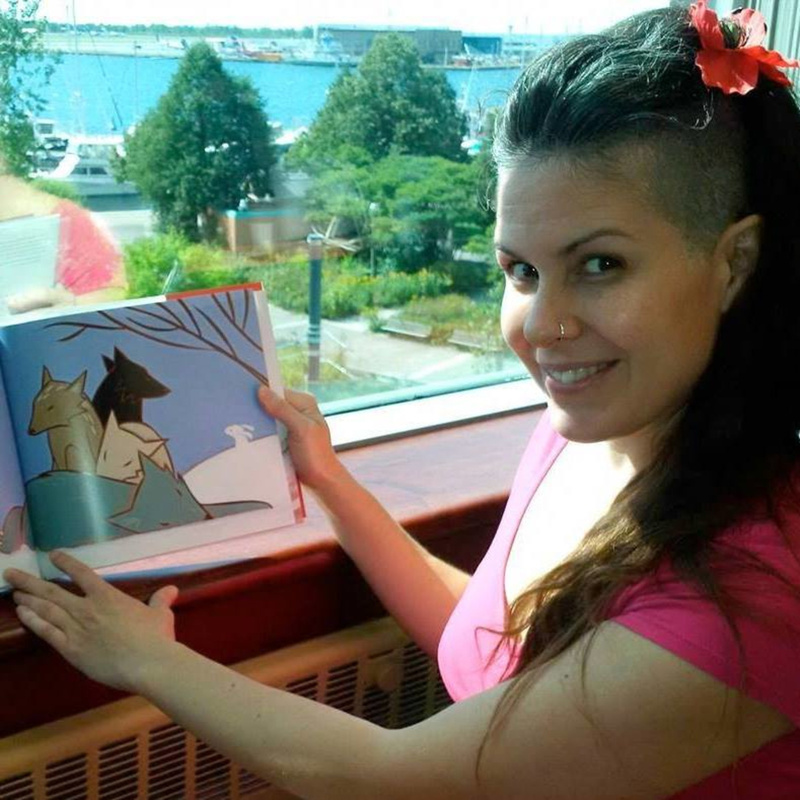 She has been a finalist for many awards including The TD Canadian Children’s Literature Award, The Ontario Library Association Blue Spruce and Red Maple Awards, and the recipient of grants from The Canada Council for the Arts, The Ontario Arts Council, and The Toronto Arts Council. She is a satellite member of the RAID Collective and collaborates with award winning, world renowned authors. Full of “whimsy and menace,” Willow Dawson’s illustrations are conceptual and many-layered, requiring viewers to look and look again. She uses a combination of traditional and digital media and techniques. Her work is inspired by current issues, politics, history, mythology, oral storytelling, symbolism, science, biology and the natural world.